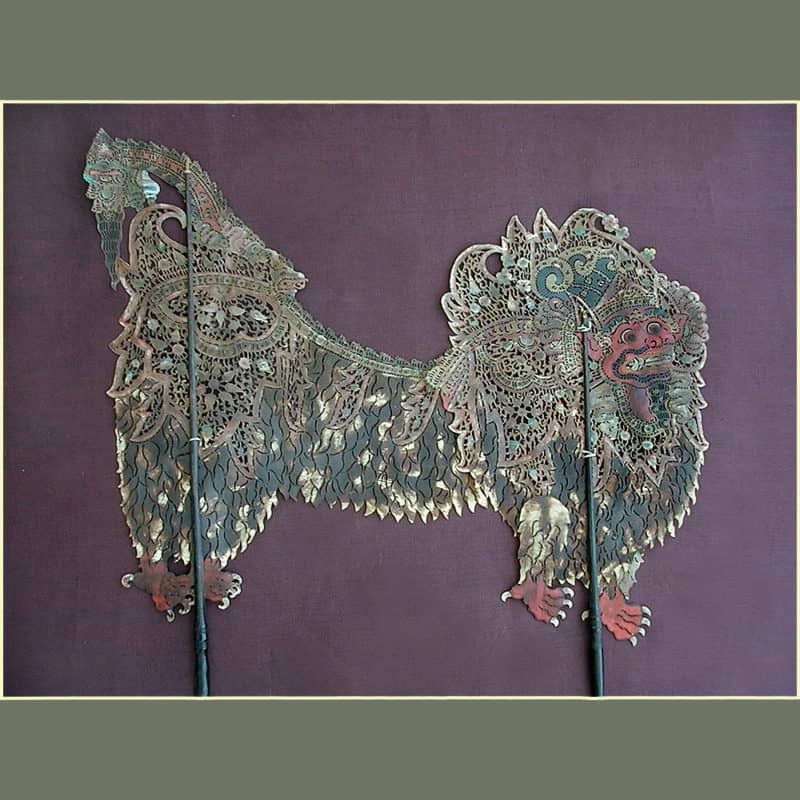 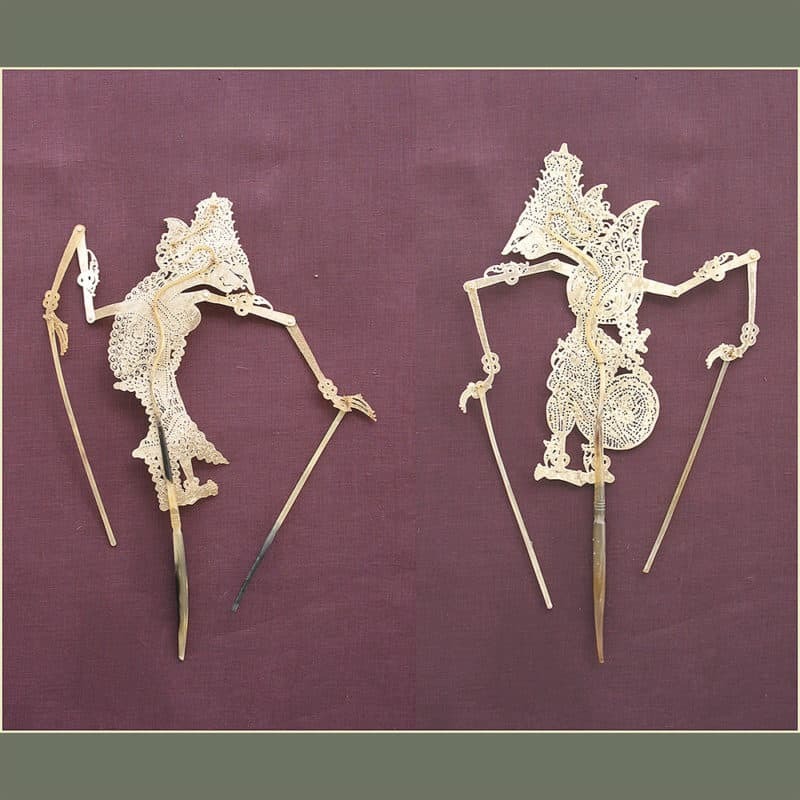 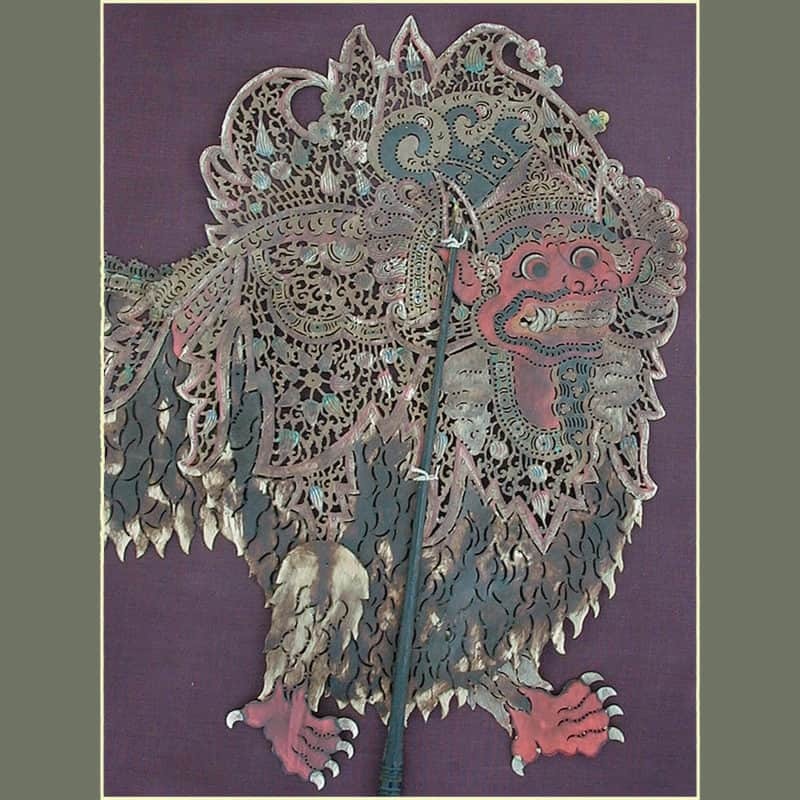 In Indonesia the tradition of shadow puppet theater is very much alive and well. 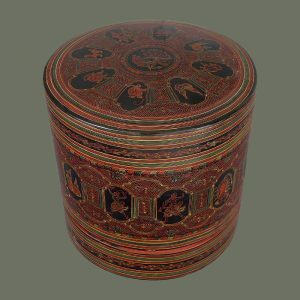 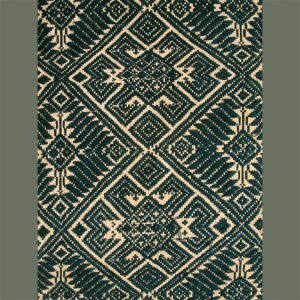 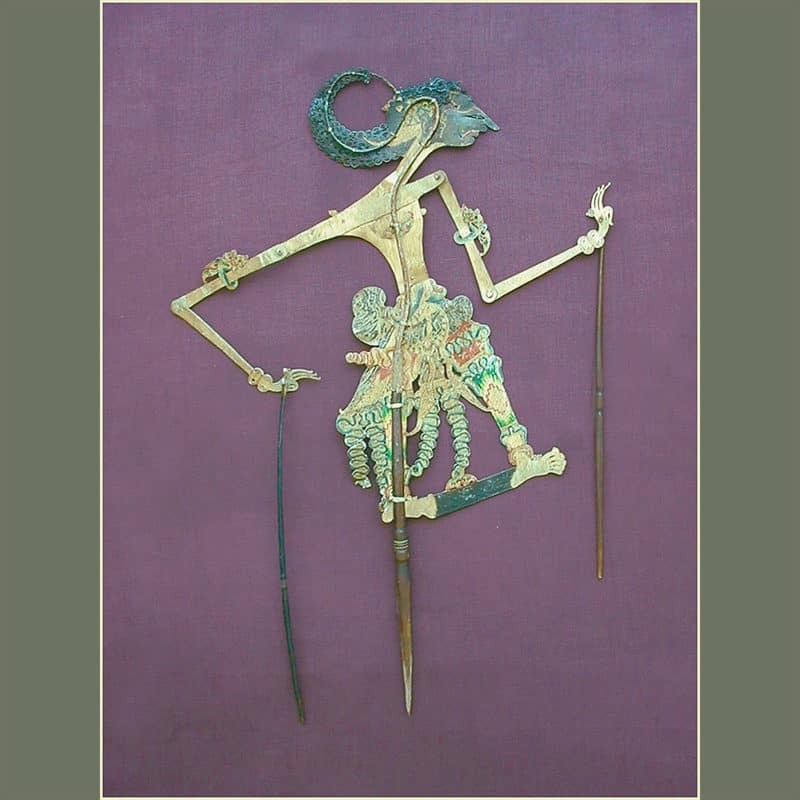 Our collection represents a small number of characters from both Java and Bali. 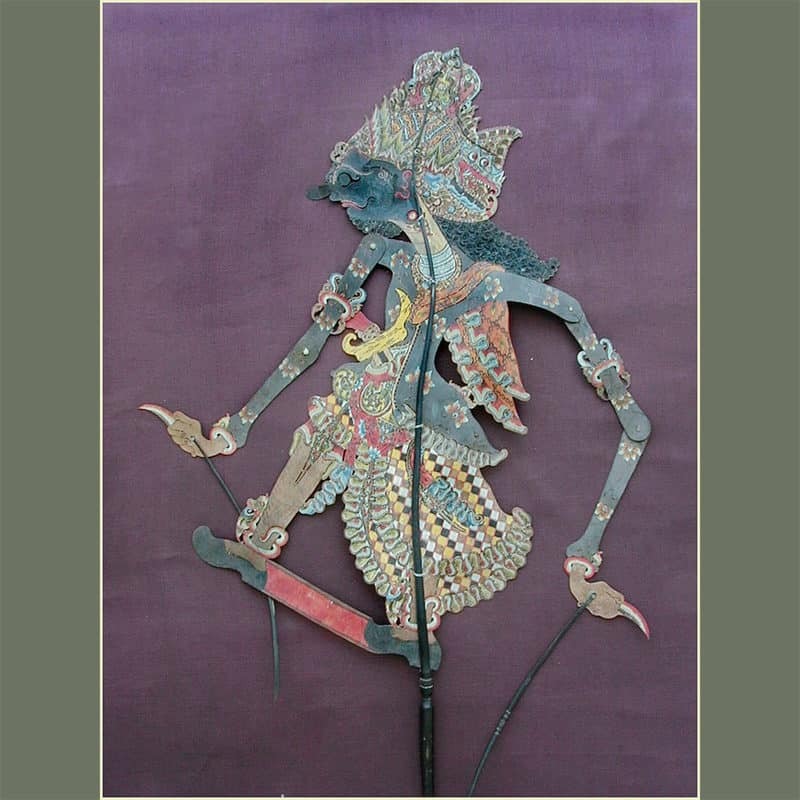 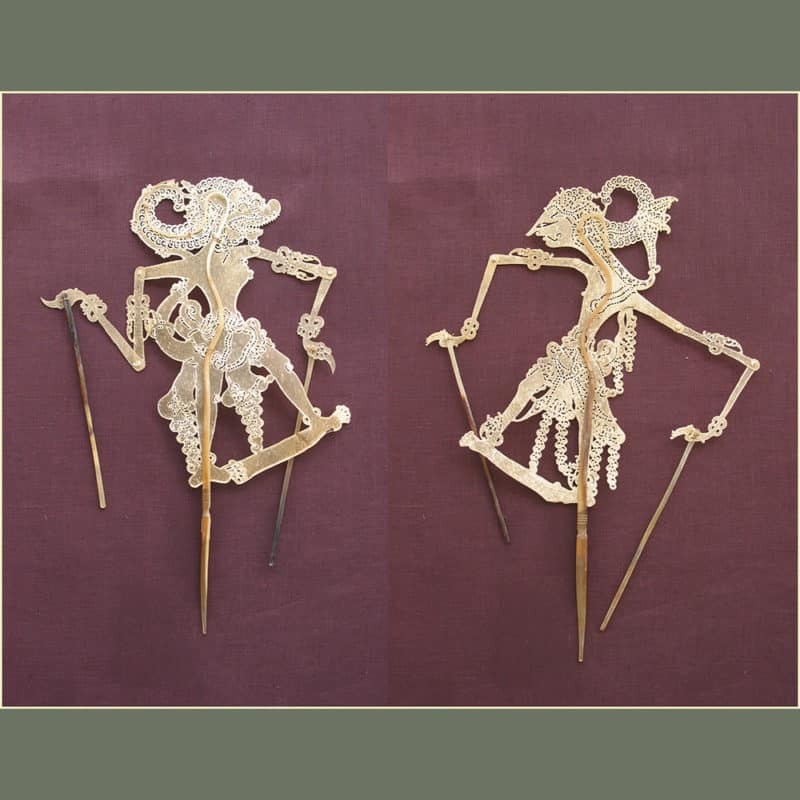 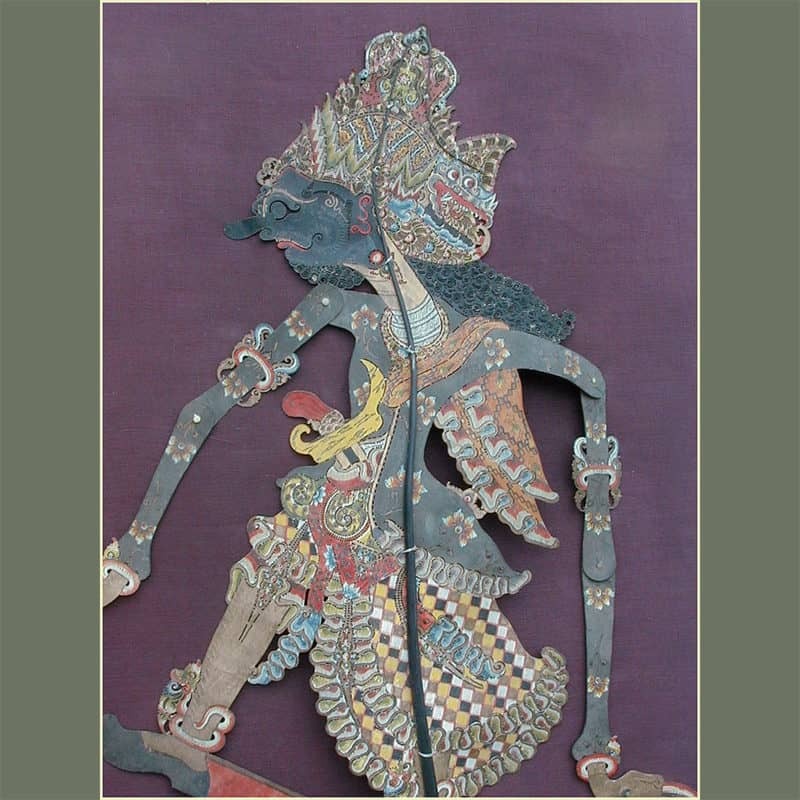 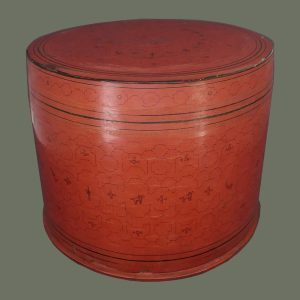 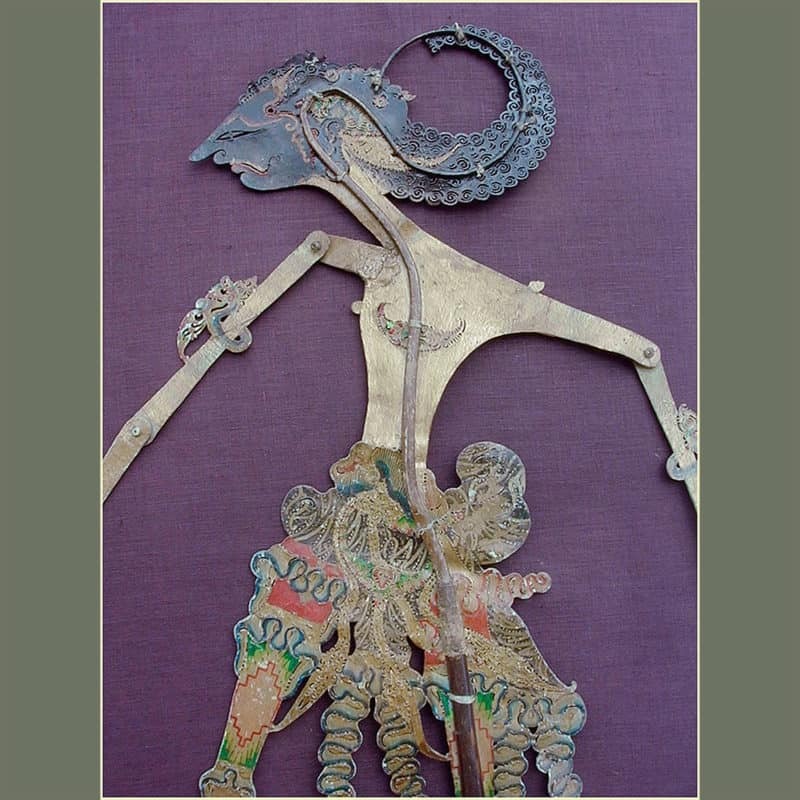 The Javanese figures are quite stylized with elaborate hairdos and outfits, elongated arms, and exaggerated features. 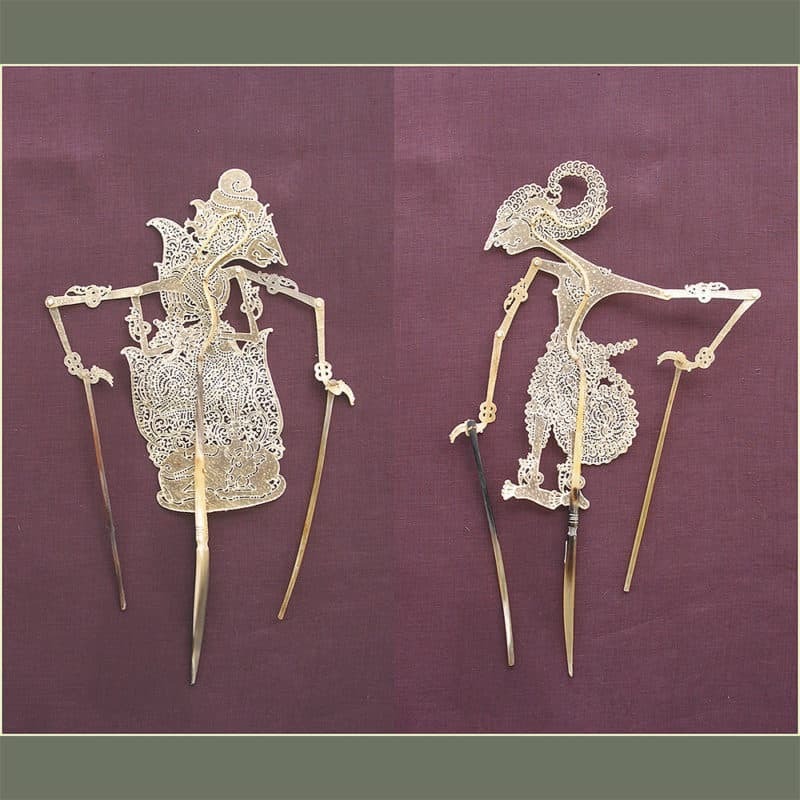 Balinese figures are more lifelike and naturally proportioned.